But of course, there are caveats. It's clear that NVIDIA's newly announced 20-series GPUs are incredibly powerful, but so far, it's been tough to tell how much faster they are than the previous generation. 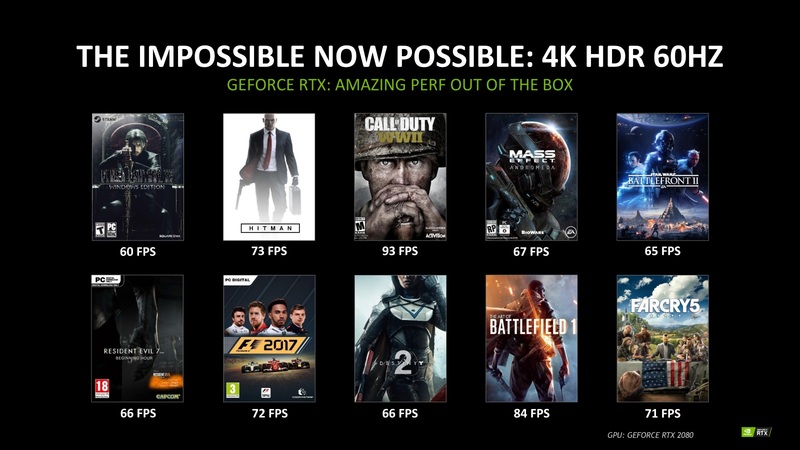 Today during a press briefing at Gamescom, the company gave us a bit more insight: The new RTX 2080 is up to twice as fast as the GTX 1080 when using the new DLSS (Deep Learning Super-Sampling) feature. That relies on the Turing GPU's Tensor Cores for AI-powered rendering. Basically, it's a less GPU intensive way of getting smoother edges on 3D objects. It's up to developers to implement DLSS, but so far major titles like Final Fantasy XV, PUBG and the upcoming Shadow of the Tomb Raider can take advantage of the feature. 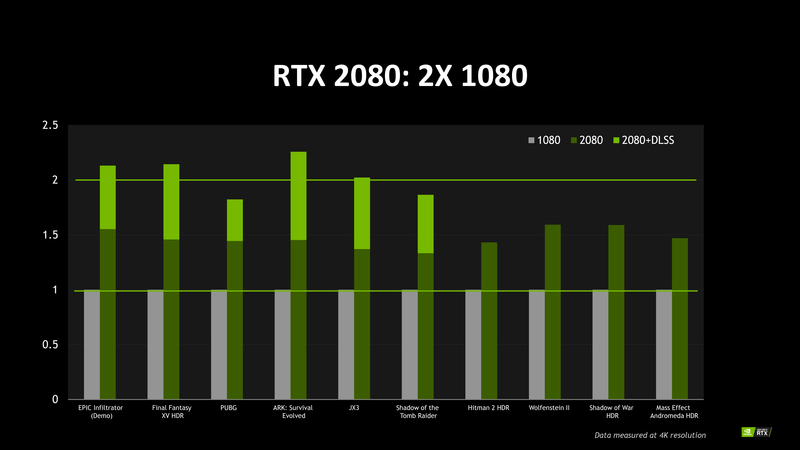 Without DLSS turned on, those same games are around 1.5 times faster on the RTX 2080 than the 1080, according to NVIDIA. In terms of real-world performance, DLSS will finally let you achieve the holy grail of running games in 4K/HDR over 60 frames per second. The slide below lays out a few examples: Call of Duty: WWII gets up to 93 FPS at that crazy high resolution, and Battlefield 1 reaches 84 FPS. For many gamers, this will make the 2080 (and the more powerful 2080 Ti) the Holy Grail of GPUs.